Friendship Commanders: THIS YEAR'S HALLOWEEN SINGLE IS HERE! THIS YEAR'S HALLOWEEN SINGLE IS HERE! It's our favorite time of year, partly because we get to cover a song and release it for Halloween, and partly because pumpkins, ghouls and goblins simply rule. So, we give you our third Halloween single,"The Killing Moon." This beloved 1984 song by Echo and the Bunnymen was just dying to be re-recorded, so we caved in. As always, all of the single's proceeds will be donated to addiction research. This year, donations will be made in loving memory of Ryan McNulty. If you're in need of more spooky cheer, feel free to partake of our Halloween singles from years past, "Pet Sematary" (2013) and "Them Bones" (2014). We're stoked to announce that we're joining The Loved Ones for another show on their reunion tour in February. In addition to the sold out show at the Bowery Ballroom in NYC on February 19th, we'll also be with them at DC9 in Washington DC on February 16th. Tickets went on sale this week! We'll be adding other tour dates of our own for that month soon, as well. 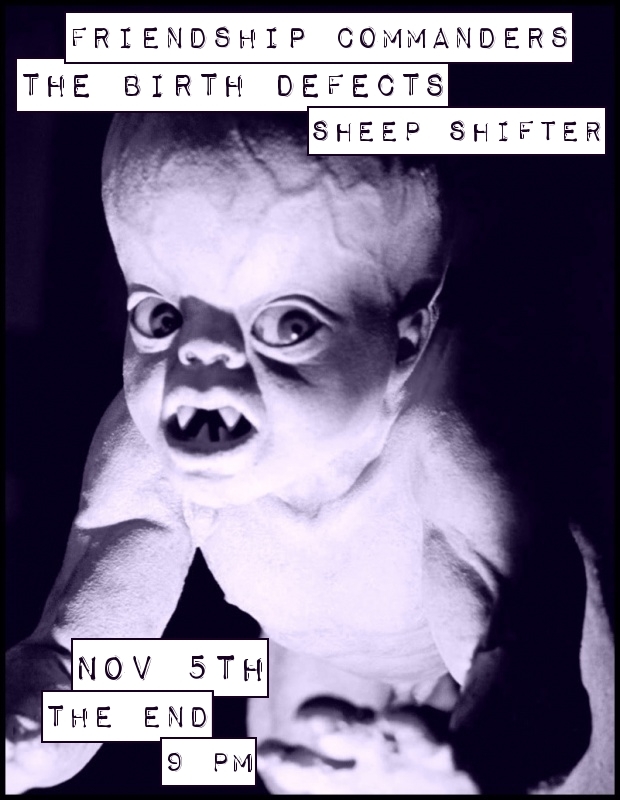 Lastly, we're playing a fun local show next week with The Birth Defects and Sheep Shifter at The End. Might be our last show in Nashville for a little while, so come hang!